Jurgen has some work to do. When the US Men’s National Team took on Belgium, it was yet another learning experience. The team was coming off a 1-0 loss against Costa Rica and was hoping to improve on the performance. They did not. The Americans fell 1-0 to a remarkably powerful Belgium side. Still, there were several things I noticed throughout this match and really over the past two matches. First off, Torres looks at home in the middle of the field. Jose Francisco Torres has been stellar in his past two games with sharp passing and impressive free kicks. He’s extremely good in tight spaces and has excellent vision. This is not to say he is a creator, but he brings a very composed presence under pressure. What we’re seeing with Torres is a the rise of a star. To put it bluntly, JFT looks like he has the potential to be the next Claudio Reyna. He’s not there yet, but its possible. The lone forward does not work, at all. It does not work in particular against talented opponents. Jozy Altidore has shown great improvement in 2011 with both club and country, but he is not the answer when being asked to play up top by himself. It’s an unfair request of a player who is ill equipped to take on four defenders by his lonesome. Find the man a strike partner. We’ve got players to do it. Why not tinker the lineup and help him? For this match though, Altidore was a ghost and looked exhausted. Juan Agudelo has a ways to go, but he’s farther along than most others in the forward pool. Brek Shea must be exhausted and he still runs forever. Against Belgium he was one of the few to take players on and beat them. This is something Klinsmann has encouraged his players to do and Shea has flourished under it. Remember though, Shea has played games in the US Open Cup, Major League Soccer, CONCACAF Champions League and of course national team duty. Still, he’s been impressive in all of his games. Provided he’s able to stay healthy, we’ve got a fantastic player for the future of clubs and country. Now, what position does he actually play? When looking at the Tim Chandler at left back lineup my though is this is only a band-aid. Currently the talent pool lacks a clear starter at left back. In no way is this a new development. Still, I prefer Chandler over on the right where he more naturally get’s forward. 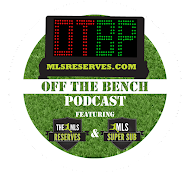 There are other names to try on the left Lichaj, Castillo and even Convey might deserve a shot. It should be noticed that when Kyle Beckerman entered the match against Belgium, he added bite to an otherwise tepid midfield. He certainly improved the team and until the arrival of Jeff Larentowicz entered the match, the team was prominent going forward. In no way is this a knock at Jeff Larentowicz, rather his natural position along with Beckerman and Edu all play defensive midfield. Having three defensive midfielders on at once is a regression. Bottom line, the game against Belgium was uninspiring. 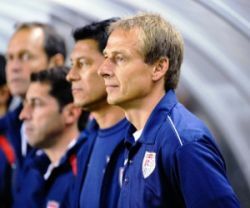 The Nats looked terrible in the final third and Jurgen Klinsmann is starting to see he has his work cut out for him. Regardless, there is no reason to panic. Until World Cup Qualifying, Jurgen can tinker with the team. His approach though should still be exciting. Even after the losses we see him smiling and talking about the positives. For now, that’s a good thing. Once WCQ comes around, then results matter. Until then, learn the team.